Of all the factors that influence the quality of someone's life, physical health and wellbeing may be the most important. You simply cannot be your best in any endeavor or relationship if you do not feel your best. We realize that, in our modern world, it is not always so easy to practice healthy living. Don't be discouraged if you have felt challenged to live a healthier lifestyle! We would like to guide and support you toward a healthier lifestyle. Take the first step now and start your Journey to Wellness! Join the "Health and Wellness Challenge" and get access to our FREE helpline, expert advise, videos, audios, and more. We will help you achieve and maintain your weight goal. Joining the "Health and Wellness Challenge" is FREE but the purchase of nutritional supplements to fully participate and support this challenge is highly recommended. Each Phase can be joined individually, however, if you are planning to join Phase 2, it is highly recommended to start with Phase 1. Phase 1: "Body Cleansing and Detox"
The first part of our "Health and Wellness Challenge" is a 16 day herbal-based Body Cleansing and Detox Program. We all get taught good hygiene habits for our "outside"- but what about our "inside"? Just because we can't see "inside" ourselves doesn't mean that nothing accumulates there. Bear in mind, the absorption area of our intestines equals about 100 times the area of our skin - that is a lot of area in a small tube! Our modern diet, stress and medication, as well as environmental toxins, affect our digestive system and cause waste to build up. Built up waste slows down our metabolism and, even if we eat a healthy and vitamin-rich diet, nutrients may not be fully absorbed. This can lead to health problems and deficiencies. 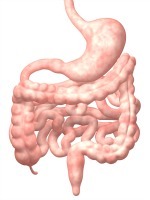 After all, our intestines represent about 70% of our immune system! Periodic cleansing of the colon can help remove the extra collected waste and detoxify the whole body while promoting improved metabolism and utilisation of healthy nutrition. You will start looking and feeling your best with increased vitality and regularity. In fact it is the intestinal tract that really needs cleansing – not the colon. The colon just happens to be the final exit, to put it nicely. When learning how to cleanse the body, you will find that supplements are a major contributor to cleansing by providing the extra nutrition needed during a body cleanse and detox. Fiber supplements aid in the softening and breaking down of the mucosal plaque and its elimination. Mineral supplements extend the cleaning to all cells. Herbal supplements may also kill off or neutralize excess toxins such as bacteria and parasites. The Body Cleansing and Detox program will give you a clean start to your Journey to Wellness! You will start looking and feeling your best! Everyone is welcome to participate! It's FREE! Phase 2: "Losing the Excess Baggage"
The second part of our "Health and Wellness Challenge" will attack your excess baggage. 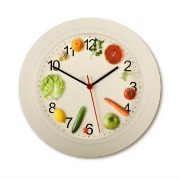 This part of the campaign has no time limit because it is not another diet plan but a healthy lifestyle plan! Many diet plans take a one-size-fits-all approach or claim to help you shed pounds in a speedy manner with just one pill. These diet plans often work to start with but we end up with a mixed up metabolism and the well known Yo-Yo-Effect. Just eating the proper foods in the proper proportions and percentages won't solve all of our diet-management issues either. There are other things to consider including physical activity, supplementation and water intake. There is no "one-size-fits-all". We are unique and we deserve a healthy plan designed to work with our metabolism and our needs. We realize that, in our modern world, it is not always so easy to practice healthy living. We are surrounded by foods of convenience, engineered to tempt our taste buds, and heavily advertised to convince us to buy them. Don't be discouraged if you have felt challenged to live a healthier lifestyle. We will smooth the path toward a healthier lifestyle and guide you on your Journey to Wellness. To help you achieve and maintain your weight goal, you will be fully supported with our FREE helpline, expert advise, online education, and more. Offer your body a smart solution to lose the excess baggage, without hunger, calorie counting, and most of all without the Yo-Yo-Effect. Please consult with a qualified healthcare professional before participating in the "Health and Wellness Challenge". Information on this website is provided for informational purposes only and is not intended as a substitute for the advice provided by your healthcare professional. For full details, please click here. "I'm amazed about the result! I've lost 10kg and didn't go hungry. This really is a smart solution. I highly recommend it!" "The result is amazing! I'm so happy!!! My picture says it all!" "I've lost 11kg in two months!" 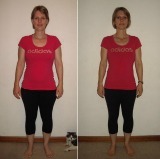 "Finally, after several failed diets, I've changed from size 52 to 46 and it wasn't difficult at all. I feel great! I've gained much more energy and quality of life."